Crackberry is currently taking nominations for the best apps and accessories of the year, with the process predictably being focused on the cases and chargers that they sell so many of in their store. However, I would like to argue that the best accessory you can buy for your phone is none other than the humble HDMI cable. Being able to connect your phone to a large screen completely changes the way that you are able to share your phone with your friends and family. Sharing photos on a television (often already set up for good group viewing angles) is far better than having everyone huddle around a four inch screen. An HDMI cable and a simple painting app has become my preferred set up for playing pictionary. Apps such as the CBS video player, apps like Scorekeeper, and even games such as Jetpack Joyride all work great when hooked up to a larger screen. Some newer apps such as BlackBerry Express and Pixelated (show in the video below) are even designed to reconfigure themselves into a special mode when attached to a larger screen. 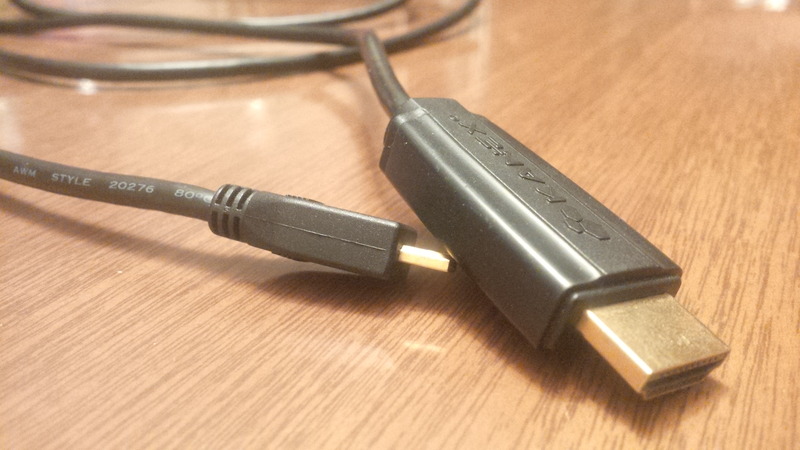 Eventually wireless standards such as Miracast will make HDMI cables obsolete, but for now an HDMI cable is the best three dollars you can spend to accessorize your BlackBerry.